There's one question on everyone's mind following the announcements of grand jury decisions in the cases of Michael Brown in Ferguson and Eric Garner in Staten Island: What exactly does it take to indict a police officer? A faux Rev. 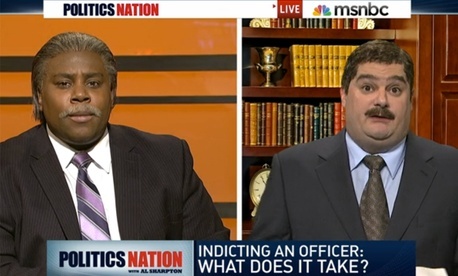 Al Sharpton appears on Saturday Night Live to suss out the answer. Plus: A terrorist bomb plot targeted the studios of media magnate Oprah Winfrey, and "Silent Night" tops the list of most popular Christmas songs.